Cape Town – By 2030, South Africa’s water deficit could be as high as 38 billion cubic metres per year – representing a shortfall of 17% annually, Trevor Balzer from the Department of Water and Sanitation told Parliament on Wednesday. The deputy director general of strategic and emergency projects presented a progress report on the Department of Water and Sanitation’s Masterplan which will serve as a blueprint for South Africa’s water needs until 2030. In his presentation, Balzer said the country’s water losses are “exceptionally high” – non-revenue water (water that has been produced and is lost before it reaches the customer be it through leaks or theft) is currently at about 41%, while actual physical losses are 35%. “This is an indictment on how we manage our infrastructure,” Balzer said, adding that there is also a lack of data resulting from weak monitoring systems with regard to water usage. 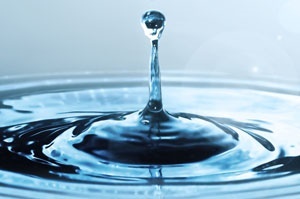 South Africa faces a water services infrastructure funding gap of about R30bn per year. Balzer said South Africans also use more water per capita compared with the world average. According to statistics released in July, the country consumes 237 litres per capita per day, as opposed to the global average of 173 litres per capita per day. Balzer pointed out that the loss of ecological infrastructure, such as wetlands, significantly affects the availability of water – especially when clusters of wetlands lose their ability to release water in times of drought. The loss of wetlands also negatively affects the ability of water systems to offset flow in times of flooding. The final draft of the Water Masterplan is expected to be concluded by end-March 2018. Before the deadline, the Department will hold stakeholder engagements from November 24 to December 8.